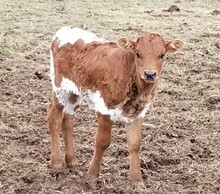 Good looking young cow. 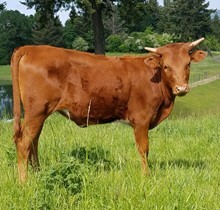 Sire is full brother to the amazing BL Rio Catchit, the longest horned cow in the breed. Dam is going to be 80" TTT. Tons of potential here. She was over 56" TTT @ 24 months and horns now turning out. She is very big and and easy keeper.